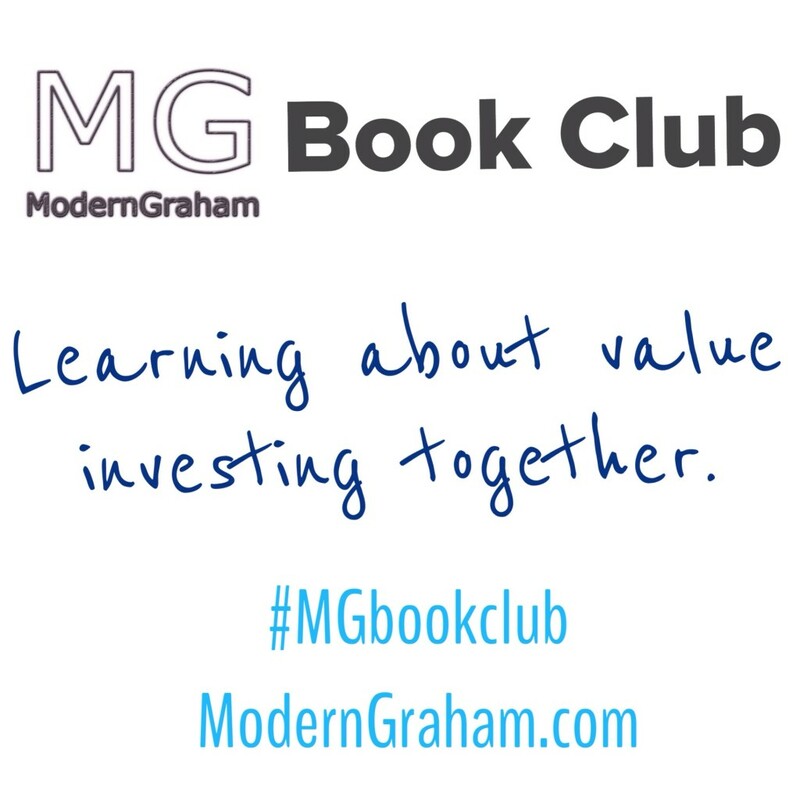 This is the thirteenth discussion of the ModernGraham Book Club’s reading of The Intelligent Investor by Benjamin Graham (affiliate link). In last week’s discussion, we discussed the twelfth chapter, which looked at factors Intelligent Investors should consider when utilizing earnings per share data This week we will discuss the thirteenth chapter, which is titled “A Comparison of Four Listed Companies.” I encourage you to purchase the book (preferably by clicking the link to Amazon, because a purchase through that link will help support the club) and join in with us as we read through a chapter each week; however, even if you don’t have the book I think you will find our discussions to be very useful in your own understanding of value investing, and you can still bring a lot to the discussion from your own experiences as an investor. Whether this is the first day you’ve ever been interested in investing, or you have decades of experience with the stock market, we’d love to hear your thoughts in the comments below! In this chapter, Graham does exactly what his title eludes to: he compares four different companies to discuss the applications of some of the concepts he has raised in earlier chapters. This is a great read for anyone who wants a brief explanation of some of the practical implications of Graham’s methods, and the comparison serves as a good introduction to the chapters that follow. Of the four companies Graham reviewed, two of them passed all seven of his Defensive Investor requirements, and it is interesting to find that in Zweig’s notes, one of the ones that did not pass the requirements dropped in price by nearly 73% in only 10 years. *As a financial company, Wells Fargo is not required to pass the tests regarding current assets and current liabilities. Comparing the four, it is clear that the gems are Intel and Wells Fargo, while the market may be expressing over-exuberance regarding Amazon and Netflix. After all, Wells Fargo’s EPSmg (normalized earnings) for 2013 were more than four times the amount Amazon earned that year, and yet Amazon’s price is nearly six times the price for Wells Fargo. In order for that price difference to be justified, Amazon would have to achieve extremely high growth going forward, but the historical data actually shows the company has seen a drop in its EPSmg every year since 2010. When considering potential investments against one another, what factors do you utilize in analysis? What do you think of Amazon, Intel, Netflix, and/or Wells Fargo? What four companies would you compare today? “The higher the market value of the stock, the greater the risk. 2. When considering potential investments against one another, what factors do you utilize in analysis? I look for liquidity, low debt, paying dividends, and profitability. I like a price below BV. I look for a possible catylist. Do I understand what the firm does? 3. I use Amazon, but it is way overvalued. Netflix I guess is a retailer and overvalued. Intel is okay if priced properly. Wells Fargo looks like a company I may invest in. Buffett like them. 4. I like smaller micro cap compamies. Also, offshore firms. 5.I found the methodology very educational. 2. When considering potential investments against one another, what factors do you utilize in analysis? I use the seven factors Dr. Graham introduces in this chapter to screen for companies to consider and I use David Fish’s CCC list as the initial universe to screen from. I compare financial ratio analysis figures and earnings estimates to rank order potential investments. 3. What do you think of Amazon, Intel, Netflix, and/or Wells Fargo? Amazon and Netflix are speculative and are of no interest to me. Intel I own and Wells Fargo I would consider owning if I were looking to buy a financial company. 4. What four companies would you compare today? Difficult choices in today’s fully valued market. Stocks I would like to add to my portfolio, given a significant enough discount, would be: Kimberly Clark, Kinder Morgan Inc., Leggett & Platt, and Procter & Gamble. 5. What did you think of the chapter overall? Excellent lead-in the my favorite chapter, chapter 14. “In the investor’s diversified list of common stocks there are bound to be some that prove disappointing, and this may be the case for one or both of this pair. But the diversified list itself, based on the above principles of selection, plus whatever other sensible criteria the investor may wish to apply, should perform well enough across the years. At least, long experience tells us so. 2)	When considering potential investments against one another, what factors do you utilize in analysis? I am more of a defensive investor, so I tend to rely on Grahams criteria for a defensive investor. I might be open for a current ratio under 2 for Apple since they have many times the assets over liabilities, and no interest expense reported. In other words, if there is something that looks equally valuable or better than I can accept an offsetting deficiency. 3)	What do you think of Amazon, Intel, Netflix, and/or Wells Fargo? I have been following Netflix for a few years. I was a customer until a few years back when they increased my cost by 50%, and then I left. I have used their service since, and it is still not great, but it is better now and closer to worth my money. As for their financials, they are crazy over-priced. You would really need to buy into their future to touch them. I would not have touched them two years ago when the price was $78 per share. I am sure that TV will gradually shift to some form like what Netflix provides, but it is a long time away, and others will get stronger by that time. I like Wells. Their financials give me confidence, and I would consider owning them based on that alone. Their bankers do a really strong sales push, and that can be a turn off, but they drive results. You will never see the day of the mellow bank again. You might as well walk into a used car lot, and be ready to get multiple checking accounts to meet a bankers goal of the week. I have followed Intel for many years, and I am comfortable with their valuation based on Grahams criteria. I see them as a long run play since they hold a wide moat to processors, and processors will not be gone anytime soon. Amazon is just too shaky. I like the company to buy stuff from, but their financials are scary based on Grahams criteria. 4)	What four companies would you compare today? I would like to look at Toyota, Quest Diagnostics, Costco, and Disney. 5)	What did you think of the chapter overall? This chapter gave some solid examples. It was great to see Graham work through these companies. Long-term economic characteristics of the business. Purchase price of the business compared to the calculation of intrinsic business value. 3. What do you think of Amazon, Intel, Netflix, and/or Wells Fargo? Amazon, I would say, is a very interesting business. Have been thinking for some time that I should start reading more about Amazon, to improve my understanding of the business. Seems like a great business, the question is if it also will prove to be a great investment going forward? How much of the expenses today are growth expenditures or not? I guess that is one of the big questions when it comes to being able to have an opinion about whether the current stock price is way too high or not. Intel looks like a great business. Haven’t read a lot about it, so I cannot say that much. The big question here, I guess, is how they will get into the growth available in the smartphone and tablet markets? But as I said, haven’t read a lot about it, so I cannot say at this moment. Subscribed to Netflix a year back or so, but the supply was not that good back then. That’s the main reason I don’t use it today. Maybe that has changed, I don’t know. Maybe a good business, but does not feel like a great one. Wells Fargo is a company that I truly like and admire and that I would be interested to invest in. Read the most recent shareholder letter a few months ago, written by John G. Stumpf (Chairman, President and Chief Executive Officer, Wells Fargo & Company) and I really liked it. 4. What four companies would you compare today? Linear Technology, Verizon, Abbott Laboratories and Oracle. 5. What did you think of the chapter overall? A good one. Comparing different companies to each other is an interesting way to learn more about companies, and also to see the big differences between different businesses and industries. A sufficiently strong financial condition. Continued dividends for at least the past 20 years. No earnings deficit in the past ten years. Ten-year growth of at least one-third in per-share earnings. Price of stock no more than 1.5 times net asset value. Price no more than 15 times average earnings of the past three years.